Do you provide turnkey service? CMC is flexible in how relationships are structured. We will work with our brand partners’ needs and provide turnkey solutions, tolling (fill fee) only, or anything in between. Can you fill OTC products? Yes! CMC is a FDA registered and licensed facility. Can you fill powders or tablets? No. At this time CMC does not have the capability to work with powders or tablets. What is my product going to cost? While a seemingly easy question, a multitude of variables can affect the answer. We will work closely with you to develop all the information needed to provide a quotation. What is your available capacity? We currently operate one shift, 5 days per week. We have flexible staffing and can easily add hours, weekends or shifts. What are your minimum run sizes? This is a very challenging question to answer. 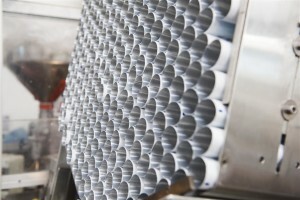 CMC bases each product or sku’s minimum run size on a combination of container fill size and batch size. 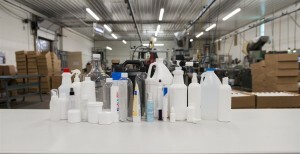 Batch size is determined by what equipment can be used for a given formula depending on its unique characteristics and requirements. Yes! CMC has a diverse network of packaging suppliers we work with on a daily bases including some of the largest packaging suppliers in the world. Can you develop my product? Absolutely. We offer R&D services ranging from reverse engineering to custom development. In the last two years our R&D team has developed more than 60 products for our brand partners. What will my lead time be? From receipt of all materials, lead time is usually less than 2 weeks.